Caylen learns to be honest because of the righteous example of the Stripling Warriors. Includes figures to tell the story. Jackson and Michelle learn that they too can bury their weapons of hurtful words, just like the Anti-Nephi-Lehies buries their weapons of war. A story about the people of Ammon who were Lamanites who made a special covenant. A short summary of the story of the Anti-Nephi-Lehies and how they taught their children to also be honest. Includes a coloring page. Cousins Timmy and Madi are arguing a lot, so they decide to make play swords and pretend to bury them like the Anti-Nephi-Lehies. Illustrated retelling of the story of the people of Ammon and how they accepted the gospel and buried their weapons of war. 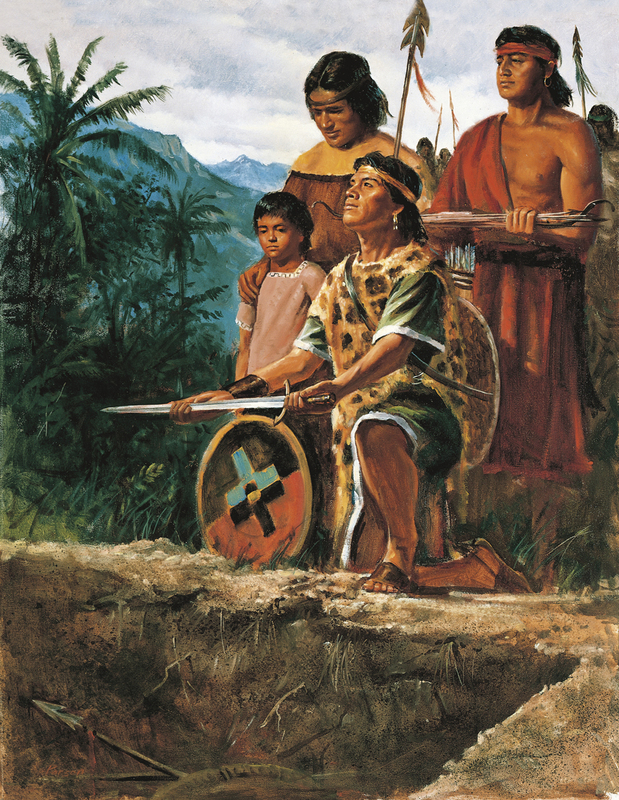 Includes a coloring page of the Anti-Nephi-Lehies burying their weapons. A simple board game based on the story of the stripling warriors.